We take the concept of team very seriously at Team Ford. Everyone plays their part, and sometimes someone has to ride the proverbial bench. With that being said, when those on the bench are called for, they need to be ready, just like how when it is cold out you need your vehicle to be ready. And this is where the analogy ends — because I doubt anyone on the bench is *ahem* going to use a block heater cord like that. But luckily, if you are unfamiliar with block heater cords, we’re here to tell you how they work and why you want one. So without further adieu, you are cord-ially invited to the Team Ford blog breakdown on block heater cords (say that five times fast). Invented in 1940, and patented in 1949, you can thank Andrew Freeman of Grand Forks, North Dakota for the head bolt heater, which has evolved over the years into the block heater. It should come as no surprise that the fantastic person at the helm of this invention comes from an area where the winters are, according to the world’s most accurate encyclopedia, “associated with subarctic climates with frequent subzero temperatures.” Gee, if only we knew of a place with that sort of climate. Andrew Freeman and his head bolt heater wasn’t the first instance of people trying to warm their engines before use, there have been a variety of methods used from pouring hot water on the engine to shovelling embers underneath the vehicle’s engine (just imagine that this is being narrated by another, more famous Freeman). Thankfully, not only are block heaters often standard equipment in new vehicles, but in many cold climates (read: Alberta) there are electrical outlets in parking lots. So quit stoking that fire, you rugged soul, just grab an extension cord and get pluggin’! For anyone interested in the science behind plugging in your car, it’s very simple. Well, at least it can be explained simply. The most common type of block heater is electric, in which electricity is run through a heating element in the cylinder block. It will warm up the engine, as well as the engine’s oils, so that not only will your vehicle start (good news! ), but it will also warm up faster (bonus!). It is usually connected to your engine via a power cord, most often routed through your vehicle’s grille. If your vehicle is equipped with a block heater, just add an extension cord and you are good to go! Pro-tip: string together several extension cords if you park in front of your house, and watch out the front window as people trip on the cord. Or, just tape it down. You know, your choice. Now, if you are an energy savings-savvy, carbon levy-conscious Albertan, and read a study that said operating a block heater for more than four hours is a waste of energy, never fear! There are timers available that can keep you from having to choose between waking up four hours before you have to go to work, and having your vehicle plugged in all night. If you are concerned with cost, the average car (with a 1,000 watt load) would cost you about $60 a month if plugged in for ten hours, but only about $24 a month if your timer was set for it to run for the recommended four hours. Either way, can you really put a price on reducing stress on your engine? Or hoping into a car that warms up extra fast? We didn’t think so. Not all vehicles are created equal, and not all vehicles come with a block heater, but here at Team Ford we are all about lending a helping hand to our teammates — so we make sure that all of our vehicles come with a block heater. So when you are called in to action off the bench, you, and your vehicle, will always be prepared.  If you have any more questions about block heaters, making your Ford winter ready, team sports, existence, you name it, come visit the all star lineup of staff at Team Ford today!